We are pleased to offer professional grooming services for all breeds to keep your pet healthy and looking good. 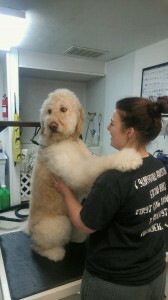 Our knowledgeable groomers will be happy to consult with you before and after your pet’s day at the spa. 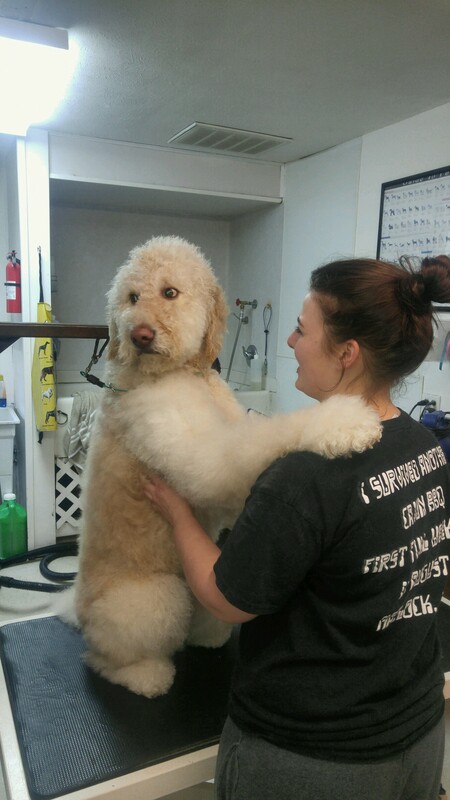 It is important to us that your pet has a good time while here for grooming. Our groomers are very patient and we will be happy to work with you to make sure your dog looks forward to the next visit. 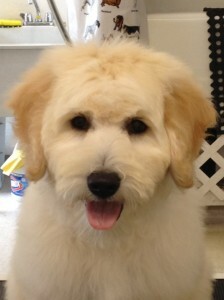 We use all natural, hypoallergenic shampoos with moisturizing conditioners for healthy skin and a soft, clean coat. Grooming is available on a scheduled basis Monday – Friday. Your pet can also be groomed while here for boarding or daycare. Grooming appointments must be made in advance. Rabies – Distemper/Parvo – Bordetella. Nail trimming and ear cleaning is included with every grooming. Click here to request a grooming appointment for your dog today!